Well, my Summoner, Meeka Thara, has finally done The Vault. Twas not glorious. I died at the three quarter mark of the third boss, but luckily the rest of the party finished him off while I lay ignobly dead at their feet. -sigh- I did learn a few things that may help others though. What follows is for newbies, and is only a kind of overview and tips type thing. You should still watch videos of the fight and read up on it for the complete mechanics. Unless you’re incredibly overpowered, the trash mobs are actually quite hard. Not Limit Break type hard, but hard, and they aggro from quite a distance. Party members who run ahead of the tank are stupid, plain and simple. The first two bosses [Ser Adelphel and Ser Grinnaux] start out almost easy, but when you get them down to about 20% HP they morph into much harder creatures, so don’t be lulled into a false sense of security. As per usual, the 2nd boss [Ser Grinnaux] is harder than the first and uses some mechanics that can trap the unwary. One of them is the aetherial tear [or void gate]. The Boss throws these void gates around the outer edge of the circular arena. Standing near a void gate will cause some damage and stacks of vulnerability. Unfortunately, it’s not just a case of avoiding these gates. Every so often, the boss does an aoe knockback that sends everyone to the wall. If you get knocked back into a void gate it’s not good. As much as possible, try to position yourself so your back always faces an undamaged section of wall. I did read one forum post that advocated stacking the void gates all in one place to make it easier to avoid them but…I don’t know how you’re supposed to do that. Chains – this mechanic chains two players together and keeps doing damage until the chain is snapped. If the two players are standing fairly close together when they are chained, they just have to run a short distance away from each other to snap it. If, however, the players are a long way apart when they are chained, they may not be able to put enough distance between each other to snap the chain. Knights – look like huge chess pieces and march in a row from the north of the arena to the south. Contact with one of these Knights causes damage AND a powerful Attack Speed Slow. This is not the kind of debuff you want when fighting a boss. The good thing, however, is that the Knights can be avoided, at least in the early part of the fight because they’re fairly slow and always keep to a straight line [think of them as moving line aoes]. At about 60% health, the boss disappears and returns with 2 adds – both Knights, but these ones can do line aoes. He also casts Holy Flames. There are about 6 [?] of these positioned around the outer perimeter and DPS have to kill them asap. Holy Flames are followed by a room wide aoe called Pure of Heart. Now I’ve read that Pure of Heart can be followed by Sacred Flame, which is another room wide aoe. Apparently Sacred Flame depends upon whether the Holy Flames were all extinguished prior to Pure of Heart going off. We got all the Flames so I didn’t actually see this for myself. I assume it would have been bad though. In all the videos and guides, they say that after the Holy Flames/Pure of Heart sequence, everything else is ‘just’ more of the same but ‘a bit faster’ until the boss dies. Hmm…. The reality is that phase 2 of the fight is when the boss throws everything at you at top speed, again and again and again. Knights charge down, chains happen along with fire aoes, and it’s all happening at once and OVERLAPS. Dodging the Knights was easy in the beginning but now with everything hitting you at once, moving and fighting at the same time becomes problematic, at least it did for me. As you can see, a new line of Knights is forming in the top of the screen before the first lot have even passed. It’s rather chaotic and unless you’ve got your camera pulled out as far as it will go, seeing what’s happening [so you can avoid it] is difficult. This is around about where I died, probably because I was just too slow. Given my lightning fast reflexes – chokes laughing – I should have just focused on my feet and forgotten about everything else. After all, the rest of the party managed just fine without me. Instead I tried to dodge while casting like the healer – awesome healer, by the way – and I failed. So there you have it. Another dungeon, and a morning wasted on gated content that I hate, and no writing done, but at least I now have something more to do until the next trial in the game [Bismarck]. At this point, all I want to do is get past the gated content and reach the Dravinian Hinterlands for the crafting. After that, who knows. p.s. if you click on the screenshots, you should be taken to the Youtube video from which they were taken. Apologies, another gaming related post coming up. 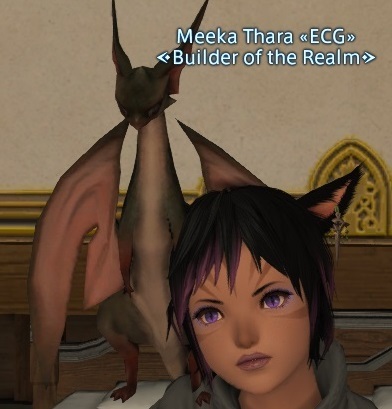 The pic below is of my character, Meeka, and the new minion she just earned from completing the Keeper of the Lake. To bring my non-gamer friends up to date, Square-Enix, the Japanese developer of FFXIV brought out an expansion in July I think. This expansion was mooted to be as big and fantastic as a whole new game. Hence the buzz. Yesterday, I tried to do the next dungeon in the storyline [the Keeper of the Lake] and came very close to quitting the game altogether. The reason? A group of players I would not like to meet in real life. I don’t want to make this a self-justification rant, but I was not the reason the melee dps and the healer died at the first boss [Einhander], leaving just me and the tank alive. [In dungeons, once the healer dies, the tank usually dies soon after, and vice versa]. Now, in this situation, the thing I did right was to use my weak, Summoner healing spells to keep the tank alive. The thing I did wrong was to forget about my ‘Resurrection’ spell. As its name suggestions, Resurrection allows a Summoner to revive a dead player during a battle. Unfortunately, Resurrection takes over 6…six…seconds to cast, and you cannot move during that time or the spell will be interrupted – i.e. the player stays dead. While this is all happening, however, the boss is not being polite and waiting while you cast your six second spell. No, it is spamming AOEs [area of effect spells] all over the place, so the player who stands still for even 1 second is essentially dead. I knew this, and thought the fight was hopeless, but I was wrong. There is a way to get around the long cast time of Resurrection – by using it in conjunction with another spell called ‘Swiftcast’. Essentially, what Swiftcast does is it turns the first spell that follows it into an instant cast. So in theory, Swiftcast + Resurrection should go from taking 6 seconds to taking 0 seconds. In theory, again, when the dead dps said ‘smn rais hlr’ [translation: summoner raise healer] he was right – I should have whipped out Swiftcast and followed it by Resurrection to revive the dead healer. But I didn’t have Swiftcast, did I? Without going into too much detail, Swiftcast is a spell that you get as another class. The class is called Thaumaturge, and they get the spell at level 26. 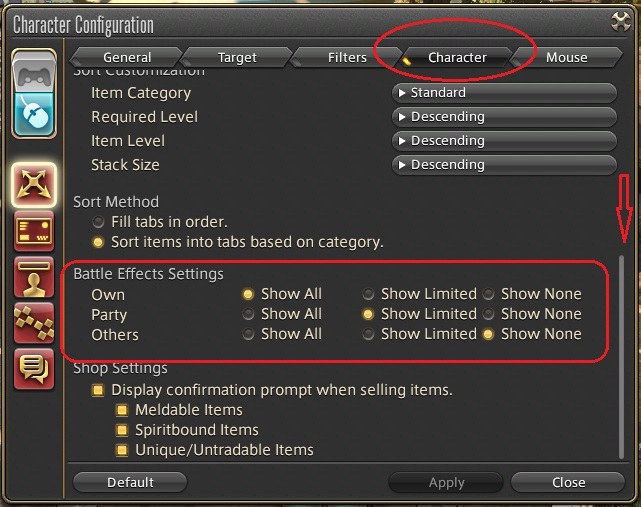 Now what you need to understand is that in FFXIV you can play as every single class in the game, and you can use some of the skills you gain in what’s called ‘cross class skills’. But. You guessed it, my Thaumaturge was only level 20 [because I don’t enjoy playing it]. So in that sense, the dps player was within his rights to demand that I use Resurrection. Instead, we wiped and that should have been that. In the past, when a group wipes [everybody dies] they try to learn from their mistakes and go back in. In this group, however, they kicked me from the dungeon and the group. Under normal circumstances, I’d feel as guilty as hell about that, sure that my age blah blah makes me a terrible player. But in this instance I just got mad. Very, very mad. You see the mechanics of Keeper of the Lake [the dungeon] are all about movement, and dodging. If there is a theme, KotL [Keeper of the Lake] is a movement test of all party members. Thus the melee dps and the healer died because they were either not aware of, or unable to master the dungeon’s mechanic. My lack of a quick Resurrection spell may have exacerbated the problem, but it did not cause the problem itself. Hence my anger. Nasty, mean-spirited and unfair were some of the cleaner things I called the group as I stood there, unable to believe they would blame the whole mess on me. I can understand the temptation to do so, but it was neither just, nor in keeping with the courteous spirit of the game. And for once, anger stopped me from running away. 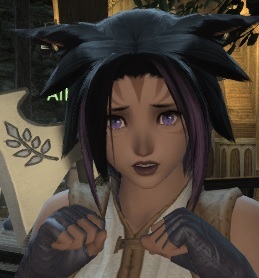 I spent all of yesterday getting my unloved Thaumaturge to level 26. Then I spent hours more trying to create a macro that would allow me to revive someone faster. 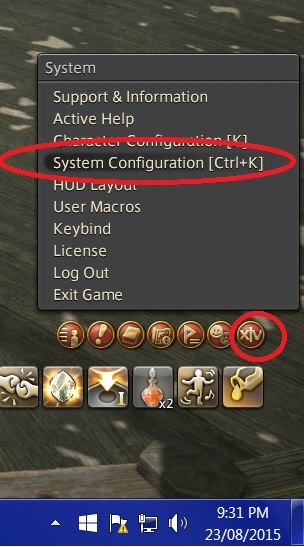 [Macros are like tiny command driven in-game apps that automate actions and skills]. Each line of commands should work, but something in the mix failed because when I used the macro in the dungeon this morning [to revive the healer would you believe 0.o], Swiftcast worked but nothing else did. I managed to cast Resurrect manually before the 10 second Swiftcast interval ended, but I died just as the healer revived. If anyone can fix this macro I will be eternally grateful. Now, this is where it gets really interesting, and lead me to writing this post – we were at the last boss [of 3] and the AOEs were insane. Picture a main boss who keeps spamming AOEs that cover great big chunks of the available floor space. Get caught in this maelstrom of criss-crossing damage and you don’t last long. Now add to that a second, boss-strength creature that is also spamming AOE’s and the fight becomes horrendous. We did not have time to think, literally dancing from one small safe area to the next while desperately trying to do some damage. But as both the Black Mage and I were magic casters, it meant we’d get half way through and 2.45 second cast and bang, we’d have to jump out of the way again. Our spells kept being interrupted and we were all getting tired just from from the visual overload of trying to make sense of the constantly changing action. Inevitably, concentration slipped. 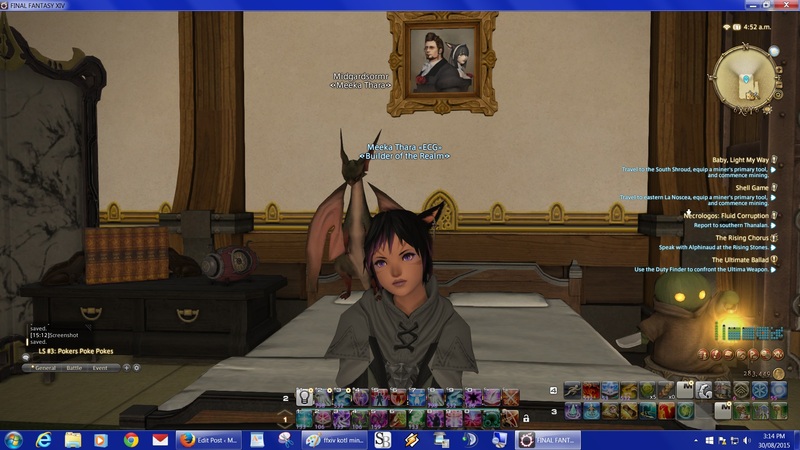 The Black Mage died and suddenly the healer was dead as well, leaving just me and the tank. Again. I won’t lie, I was terrified. The debacle of the first attempt ran through my mind as I hit the macro to revive the healer. And…nothing happened. What???? I wasted a second or so thinking the delay was normal before it hit me that the macro had failed. Swiftcast was on but nothing else had worked. My brain went into neutral. 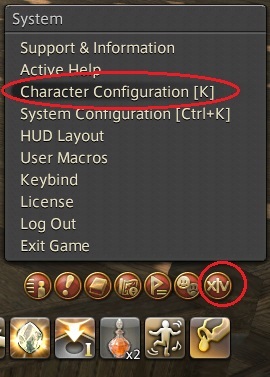 I knew there was an icon for the manual Resurrection spell on my hotbar but do you think I could see it? Talk about flustered, or perhaps that was just sheer fear. I did find the icon eventually, and there was enough time left on the Swiftcast to manually hit Resurrection, but I was caught in an AOE and died just as the healer revived. It was the most freaky timing I have ever seen. After that, all I could do was lie there, watching as the healer [who is a very experienced player] and the tank did the impossible and beat the boss. Just the two of them. It was wonderful, and I can honestly say I loved every member of my group the second time around. And you know what? Out of that 4 man group, only the healer had ever done KotL before, but the healer made sure everyone knew what to expect and we pulled together and got through. As a team. That is how massively multiplayer games should be played – with courtesy and kindness and camaraderie. Because everyone has to learn the hard way, by making mistakes. I studied that dungeon for hours, but seeing it on a video clip is nothing like doing it yourself. That experience you can’t get second hand. So to G***t Knight – you were right, I should have raised the healer. And thank you for pushing me to learn a skill I should have had sooner. But about everything else, you were so wrong. 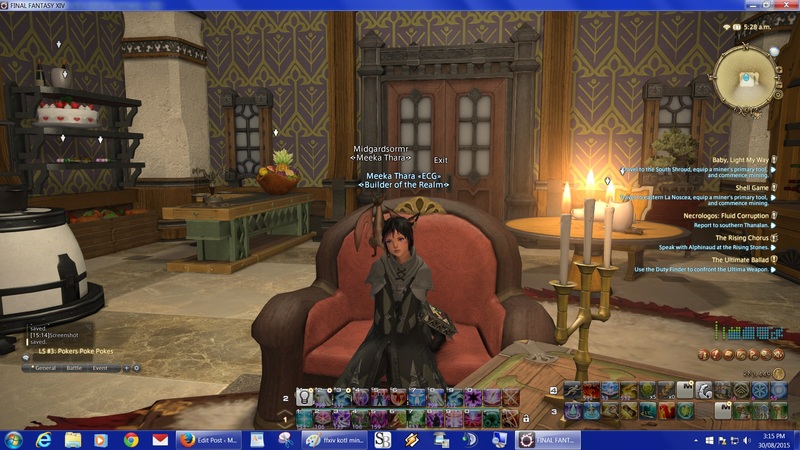 And in celebration a few more screenshot of me, my house in-game and my cute little minion. I survived Titan hard mode! If you’ve had a look at the video you’ll know that even young, very competent gamers consider this one tough. As I am neither young, nor very competent when it comes to battling, I fully expected to die, multiple times. Worse, I fully expected my incompetence to cause the whole group to fail dismally. Given how much gamers invest in these fights, they do not tolerate failure terribly well. And they don’t tend to be very forgiving of group members [like me] who make them fail. So I am not exaggerating when I say this particular fight has ruined my weekend till now. I literally could not think of anything else, and when I logged on this morning I had to grab a bunch of tissues because my palms were sweating so much. Fear sweat, people, fear sweat. And then none of the bad things I’d imagined actually happened! Titan hard mode is an 8 man fight – meaning two healers, two tanks and 4 dps [damage doers like me]. 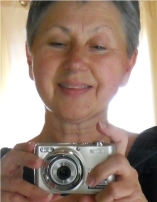 Two of the eight were my wonderful friends, Mateus and Baufian, but the rest were complete strangers. Luckily they were all players with heaps more experience than me, and essentially, they carried me for most of the fight. But…. I managed to remember all the mechanics of the fight, and more importantly, I managed to avoid all the many things that could have killed me. And then, at the Heart phase, I actually remembered to use the caster LB [Limit Break] against Titan’s Heart. I can’t tell you how proud I am of that because my hands were still shaking at that point. And I lived. No one had to waste time resurrecting me. No one had to bite their tongue about the ‘useless noob’. And I didn’t humiliate myself in front of my friends. I will remember this fight for a long time to come. For me this involved watching the above video a million times. It also meant taking something like 8 pages of notes AND doing dinky little drawings of the hardest bits – like the Bombs. I’m told the music is very stirring, but for this fight you need to be calm, not revved up even more. 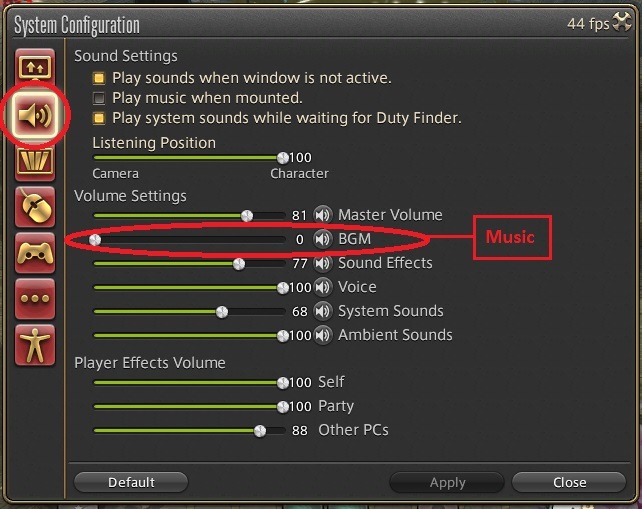 Click the ‘sound’ option in the left hand pane, and then drag the BGM slider all the way to the left. That will shut off only the music. Click ‘Apply’ and you’re done. Turn the battle effects display down. When you have a boss and 8 players all using showy weapon skills, it becomes almost impossible to see what’s going on, and in this fight you must be aware of what’s happening at all times. Again, click on ‘Apply’ when you’re done. Zoom your camera out as far as you can. Again, this is so you can see the whole fight instead of just your own small corner of it. Coincidentally, that will allow you to see the things you have to avoid. If you can’t see it, you can’t get out of its way. If you’re a caster dps like me, don’t hang out right at the very edge of the fight. I know this is what we normally do, but this fight requires you to move almost constantly so if you’re a little closer in to Titan, you have more options of where to move to. Also, when he does Geo Crush, it means you can run in towards the tank faster. This in turn means you can be AOE healed. And last but not least, it really helps if you go in with an experienced friend or two, especially if one of those friends puts a mark above his head. That mark is very visible all through the fight and if you ever suddenly get that awful feeling of not knowing where you’re supposed to run, following that mark can be a lifesaver.